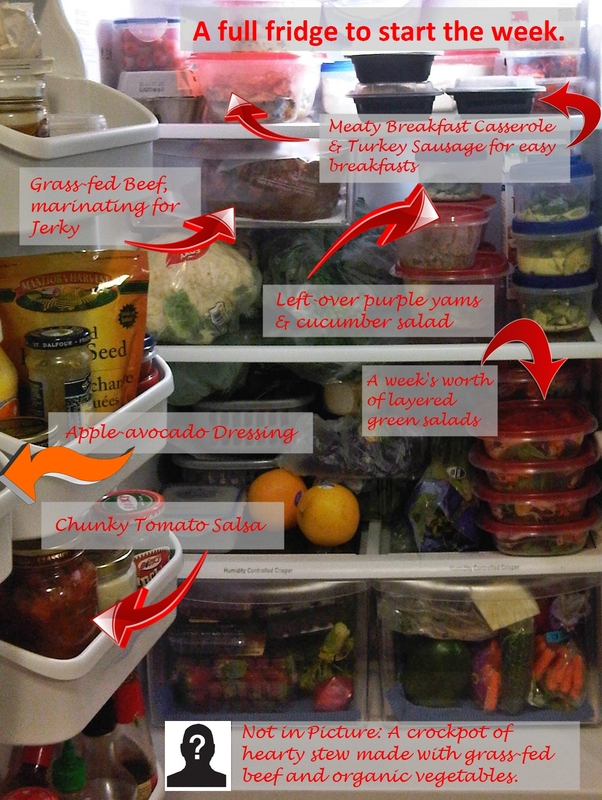 Whole 30, Day 20 – Shopping & Menu Planning Made Easy! It’s Saturday, so that means grocery shopping at our house. 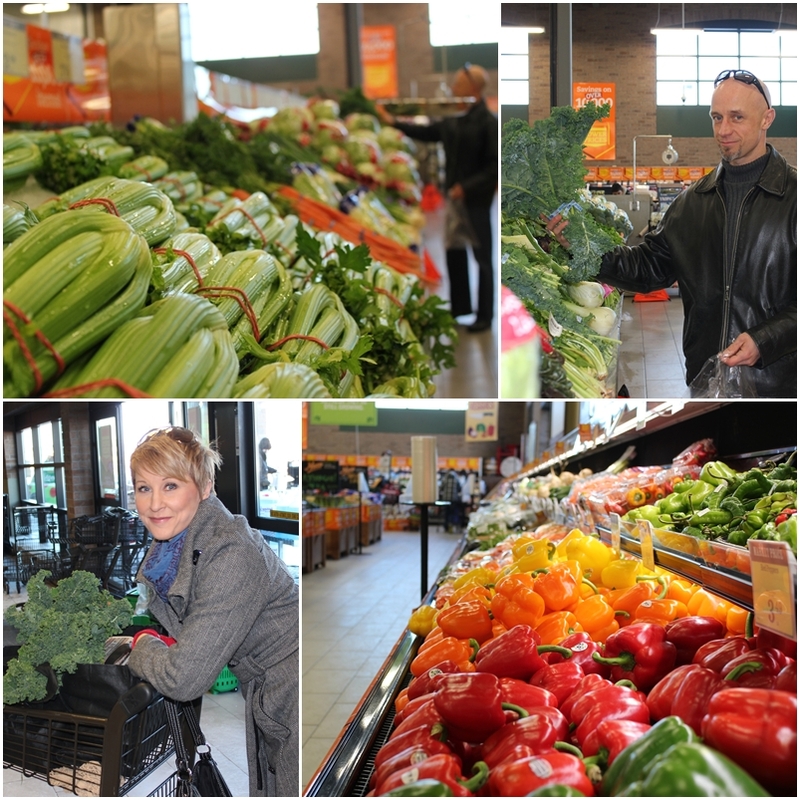 Before embarking on this Whole 30 Challenge, we often found ourselves stopping by the grocery store 4 or 5 times per week. Sometimes more. Thanks to some necessary planning head however, we’ve now got it down to one big shop per week, plus a trip to the butcher. there you go, the last column became our grocery list for today and the table itself goes on the fridge for easy refernce when cooking. Handy, since I rarely follow recipes. The beef I’ll get at the butcher on Tuesdays (when it’s freshest) and the fish I’ll buy fresh on the way home that night, but otherwise we’ve managed to pare our shopping trips from shopping 4 – 5 times per week, with cooking and cleaning every night, to shopping once a week, cooking 4 and having a full 3 nights out of the kitchen, while still having a fridge full of tasty Whole 30 approved meals whenever we’re hungry. We think it’s brilliant. You can use the framework of our plan. 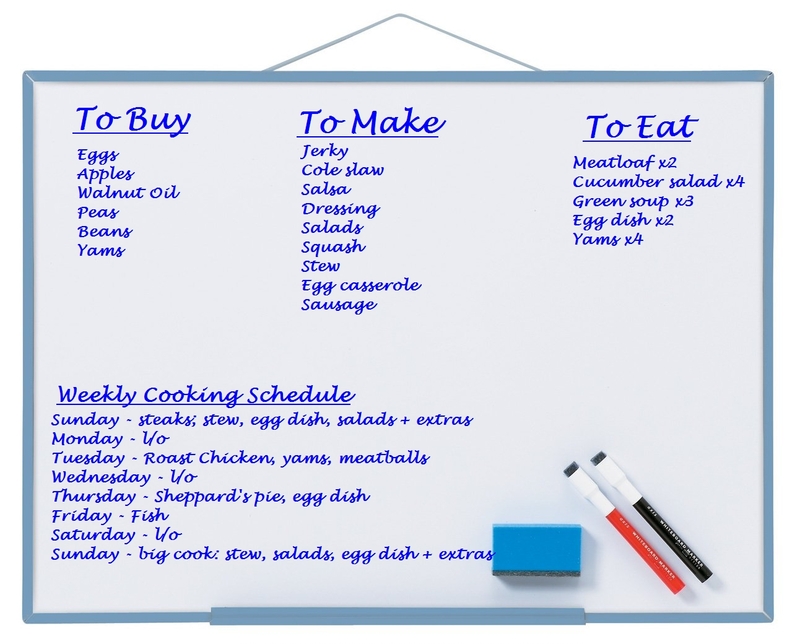 Fill in your favorite dishes and customize your own menu plan and grocery list. Do you have time-saving tips to help make eating healthy easier? We’d love to hear them! Today we celebrated day 7 of the Whole 30 in the kitchen batch-cooking. Even before the Whole 30 it was a practice we got into and really one of the major KEYS to success when it comes to healthy eating. It’s just WAY to easy to grab something less than healthy when you’re starving and the fridge is empty. So what did our hard work get us today? Dave’s the salad king in our house and ended up making 17 servings of salad. Yup, count ’em, 17! 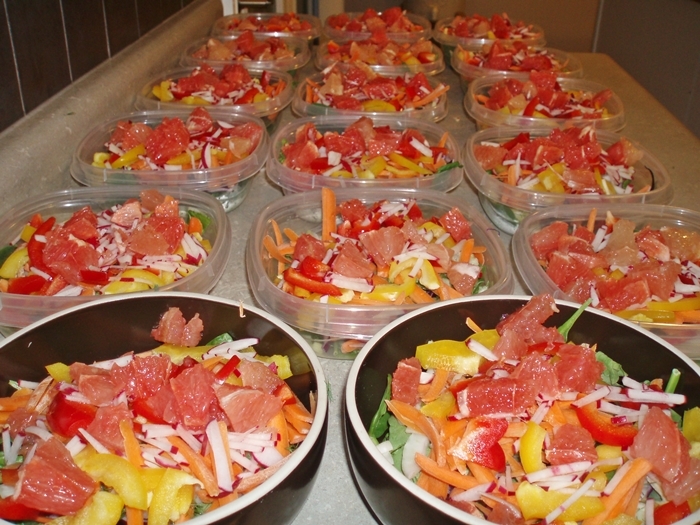 We eat A LOT of salads and we like to make them in individual containers so they’re easy to grab’n’go. I started with making a batch of my Lean Green Super Soup (you can see the video I made last summer on our youtube channel. 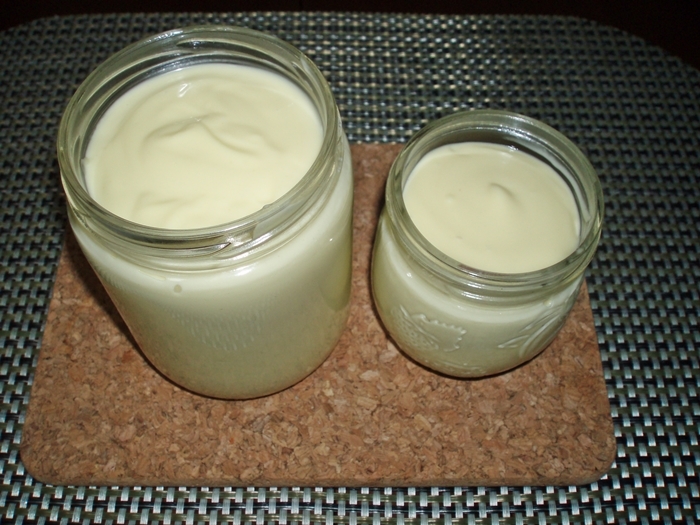 I’ll also share the recipe here in another post). Next, I moved on to an egg casserole, which we love for breakfast. I made today’s with grass-fed ground beef, portobello mushrooms, spinach, a dozen eggs and a glug of egg whites. I don’t measure – just enough to cover the casserole. Maybe I’ll take a snap of tomorrow’s breakfast. To go with the casserole, I also made another batch of sweet potatoe hash browns, using Caribbean sweet potatoes, which have become one of our new favourite things. Ridiculously good. Seriously, they taste like candy! I also baked a few extra to eat post-workout. 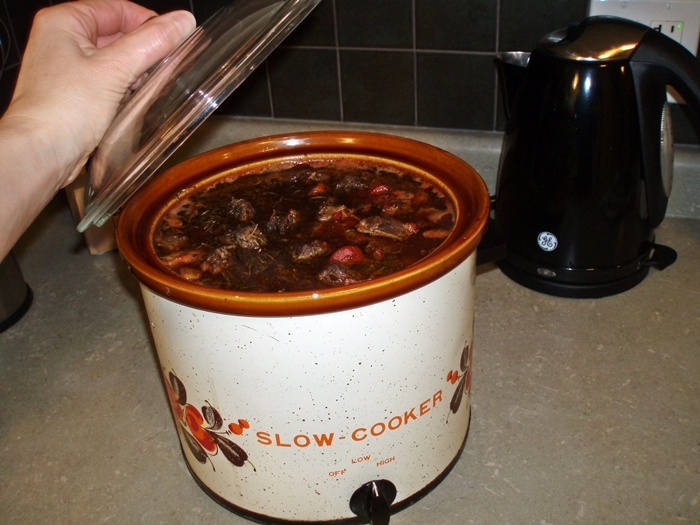 Next was a lamb and beef stew, which is still happily bubbling in the slow cooker on the counter. I added turnips, carrots, parsnips and rutabaga (which I’ve had a strange love for since I was a kid). The meat is from my beloved butcher and all grass-fed goodness. Can’t wait to get into it! 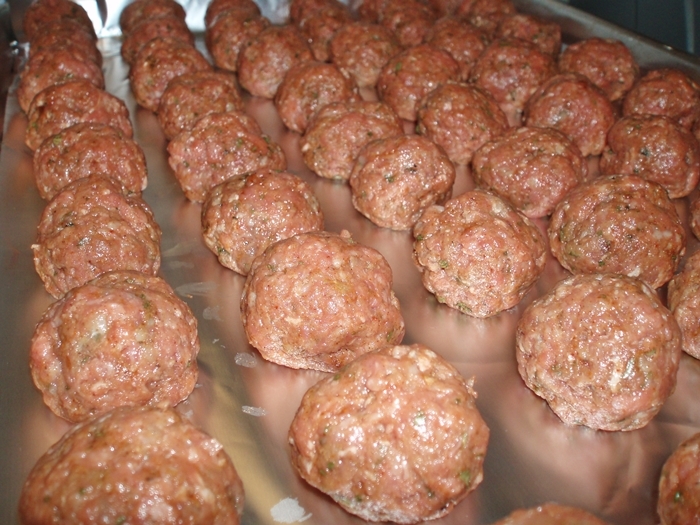 Finally, I made some good old fashioned meat balls. I love meat balls. I find it so strange that so many paleo meatball recipes on the internet use almond flour. I find you don’t need any kind of flour to make a good meatball. I started with Mel’s Paleo Czech Meatball recipe, which her hubby says should be called “Czech Out My Balls” (hee hee) but instead of caraway seeds, I used the spices from Caveman Strong’s “Not your typical grandma’s Paleo Meatballs“. Dyno-mite! Anyhow, now that all is said and done, it’s time to go enjoy some of the fruits of our labors…Bon Apetite everyone!